Before we go any further, let me state that I really like my job. It’s varied and it’s challenging. It also gives me plenty of opportunities to grow, to experience building new technology, and to work with people that are way smarter than myself. I’m thankful that I have it, and I’m curious about what I might end up doing in the future. However, as with any job, there are times that it is turbulent and frustrating. Production systems can catch fire, people can leave, we can lose important clients to competitors, and, most of all, it can be just downright stressful during periods of fast growth and change. There is plenty of yin to go with the yang. Sometimes I can have days that are just complete garbage: unglamorous, sweaty, headache-inducing days that make me wish I’d just stayed in bed. And that’s OK. And, more importantly, it’s OK to say that. But sometimes I don’t get the impression that we’d like the world to know that it’s anything other than rosy. Our generation are seeking to derive ever more meaning from their work. It’s no longer just a job: it’s our life story. I’ve read announcements, via tweets, or via lengthly blog posts, describing the decision of the author to quit their current position and start a new one. These haven’t been simple, matter-of-fact pieces of writing. Some contain prose once reserved for the passing of a family member, or the demise of a long-term relationship. It’s heavy stuff for something that my father would have called “just a job”. Conversely, I’ve observed announcements about starting a new role, sometimes even within the same company, that are written with the wonder and excitement reserved for winning the lottery or having a child; in fact, some read like that child has arrived via immaculate conception. Gaudete! We crave a story. Our story. Our glorious career story. Run up those steps with your arms in the air, Balboa. It’s all power-posting, allegory and quotable tweets from here. Just look at the stuff we share. 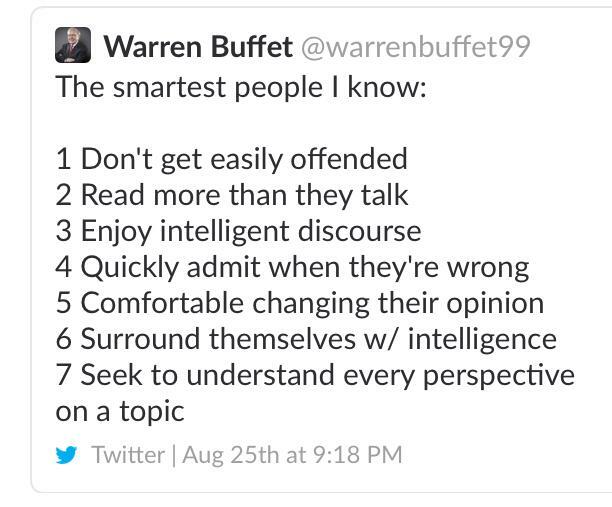 A fake Warren Buffett account (note the misspelling in the tweet), which has now been deleted, was posting a huge amount of generic life-advice content in August. Even Kanye West was retweeting it. Numerous tweets reached hundreds of thousands of interactions. We are addicted to advice from people with successful careers because many think that a successful career creates a successful life. Is this true? Ah, that tweet from that guy who loves cryptocurrency. It did the rounds on Twitter in June and spawned many parodies, even from big brands. We are addicted to stuff like this. Lists, listicles, you name it: all preach the alleged characteristics of success. But is this really what success is? Is satisfaction and the ultimate meaning in our lives really unlocked by following the 4AM waking up routine of some CEO who runs a successful company? The content of my LinkedIn newsfeed, which used to be predominantly job adverts and links to interesting articles, has become overrun with life lessons. So called “broetry” stories, with their double-spaced self-confident and assertive cliché, peaked in popularity on LinkedIn in 2017 – resulting in a change to the algorithm that surfaces popular content – although I didn’t need to go far to find one when I visited the site whilst writing this sentence. Most of this post has been omitted due to length. You’re not missing out. Work contexts are being increasingly used as the backdrop in which to attempt to deliver meaningful and addictively shareable life wisdom. Aesop used animals, the Brothers Grimm used princes, frogs and dwarves, and now millennials use VC rounds. Do we find ourselves drawn to this content because we really do seek our primary purpose and meaning from our careers? Is our career personality – that is, the one with the fancy-sounding job title – the truest representation of ourselves? Is it the one that we are most proud of? If so, what does that mean for our lives outside of work? What does this generation of workers desire to do beyond their 9 to 5? If we just knew the right time to get up in the morning, wouldn’t everything else just fall into place? 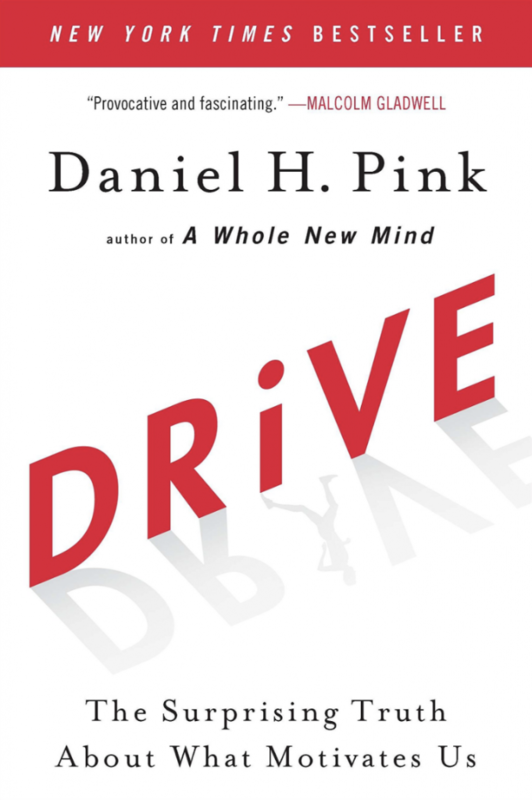 Many years ago I read Drive by Dan Pink. The framework that he introduces for understanding what motivates us helped frame a lot of my own choices in the proceeding years. Mastery: the urge to get better at our skills. There’s an excellent illustrated version of his TED talk which summarizes the main concepts in just over 10 minutes. Based on the above definition, we are therefore encouraged to strive for autonomy, mastery and purpose in our careers so that we can find meaning and be happy and successful. This is a noble pursuit and should be commended, and fortunately most work enables us to operate within a structure where we can continually strive for improvement and be tangibly rewarded for achieving it. But it should come with a caveat: work is just one facet of our lives. Despite the articles, listicles, lists and broetry, there is a danger in placing too much emphasis on our job as the sole stage in which we tread the boards in the pursuit to become better people. 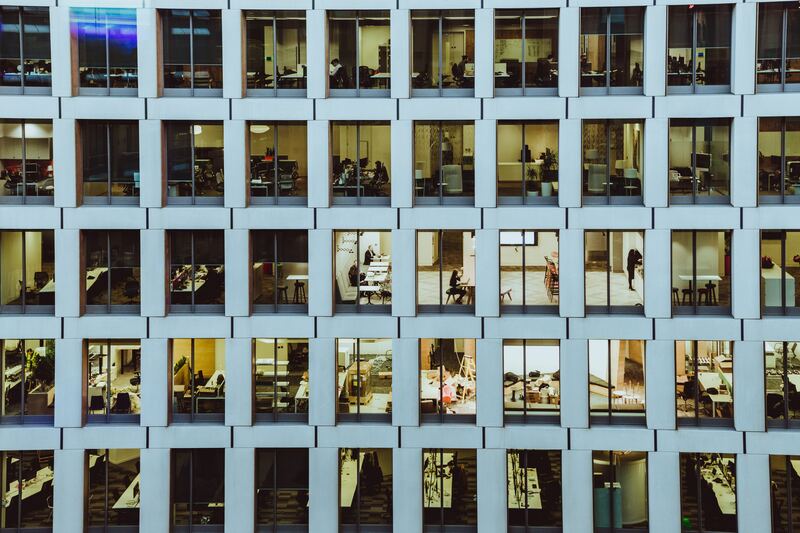 Although the culture of workaholism has been oft criticized in technology, the conflicting message one can extract from popular content shared online is that we must use our jobs to continually hustle, graft, find success. Is it any wonder we burn out? Work gets painted as the vehicle to drive all personal improvement. We need to get up at 4:30AM to exercise before work because it makes us better at work and therefore more successful. We need to employ a bunch of life hacks in the evenings with our family and chores to allow more time in the office to be successful. I don’t think that this is entirely wise. There is a danger in using work as your sole channel for finding your answer to life, the universe and everything: you put much of your destiny outside of your own hands. There are so many uncontrollable variables. 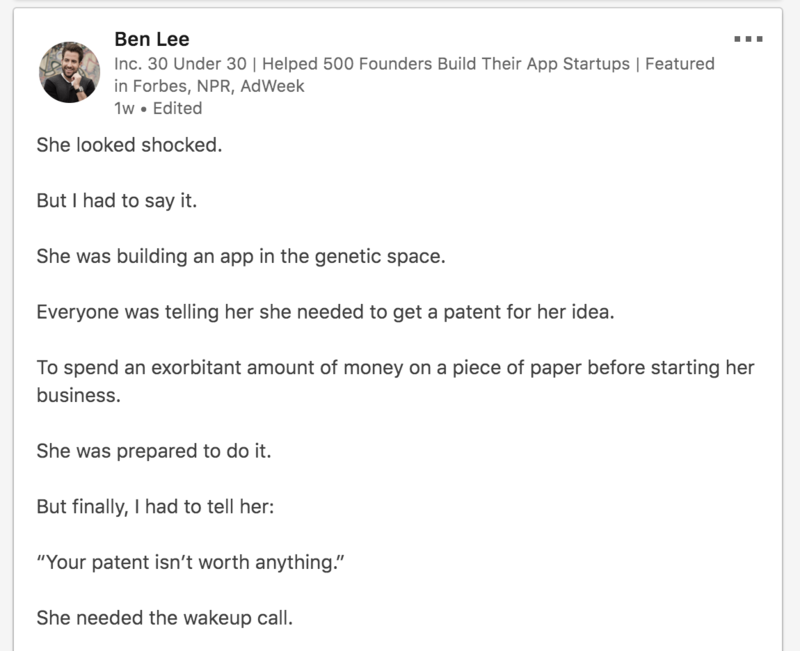 Your start-up might implode after running out of money. Brexit might move your job overseas without you being able to follow it due to family commitments. You might get made redundant. There are a multitude of things that you simply cannot change. This situation doesn’t necessarily become better if you own your own business – something that is often mentioned as a panacea for control issues – as fundamentally you still don’t own the market or the changing desires of your customers. If you derive your core purpose through your work and then your work ceases to exist, then what are you? What about everything else that you have set aside in order to focus on your career? If you focus too single-mindedly on your career at the expense of other aspects of your life, then the pain is deep when it doesn’t go right. Pinning your self-worth and personality to your job title belays obvious issues when your job is turbulent, or worst of all, no longer there. However, you can indulge in a multitude of activities where you can completely define what success means, and these activities can become a much needed compliment to the uncontrollable environment that you will face in the workplace. They can be a refuge after a stressful, messy day. I have a whole bunch of things that I throw myself into. You’re reading one of them. Over a year ago, I started writing an article once a week about things that I’ve learned from being a manager, mostly for myself, because I found the “documentation” of being a manager quite lacking. I didn’t intend to get hooked on writing, but I did. I now write with regularity in my own time, with no dependence on any outside influence, and I am in total control of how much or how little writing I want to do. I find it deeply cathartic, especially when I have Sisyphean days in the office. My colleagues tinker with programming projects in their spare time for the same reason: to have total autonomy and control over their own progress and learning. It is self-improvement in the most selfish way. And that’s great. We all need more of it to make sure we maintain the love that we have for what we do, unimpeded by the difficulties of the workplace. Activities that you use to satiate your need to improve yourself don’t need to have anything to do with work, either. You could take up gardening on an allotment, try your hand at painting, or learn something entirely new that you’ve always had a curiosity about. Pottery? Why not. Read all of the Greek classics? Go for it. Take up woodturning? Well, I’d actually quite like to do that myself. Autonomy, mastery and purpose is a mindset, after all. It’s not a work thing. It’s a life thing. Furthermore, don’t be fooled into thinking that you even need a special hobby. We don’t all have the time. You can consciously choose to apply an improvement mindset to your normal day to day activities. Why not try mindfully to get better at cooking, repairing clothes, or maintaining your bicycle rather than just going through the motions to get those activities out of the way? Being a parent, carer, partner or friend is also stocked full of opportunities to improve if you think about them in a different light. Being able to gain tangible satisfaction from even the monotonous activities in life makes you much better at riding out the rough tide at work: there are always other activities in which to feel satisfied. You will also get better at practicing a mindset of bringing your best self to whatever you do, no matter how mundane, which, satisfyingly, will make you better at work too. You might just not get many shares on LinkedIn about the epiphany you had whilst washing the dishes. I’m sure you can live with that. What a superb write, James. I’m really glad you got hooked on writing. It’s a pleasure to follow your blog and I wish we had more time to work together. Thanks for the kind words Luiz. I’m pleased you’re enjoying it and I hope all is going well with you!